In college, Catan set school records with 47 career sacks, including 21 in a season and six in a single game. He joined the Winnipeg Blue Bombers of the CFL in 1981 and spent three seasons with them, compiling 26.5 sacks and six fumble recoveries. His CFL high for sacks was 12.5 in ’82, a season in which he was named a Western All-Star. 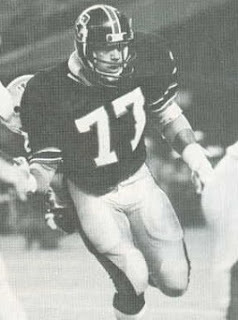 Catan signed with the Gamblers as a free agent in 1984, although contractual issues caused him to miss the team’s first game. Gamblers went 13-5 to finish first in the USFL Central Division. Lost USFL First Round playoff to Arizona Wranglers (17-16). Catan missed time due to injuries in 1985 but still accounted for 11 sacks and received second-team All-USFL recognition. Following the spring league’s demise, he failed to catch on with the Tampa Bay Buccaneers of the NFL but did return briefly to the CFL with the Hamilton Tiger-Cats in ’87. Overall, he accumulated 53.5 sacks in his pro career, 27 of with the Gamblers.